MegaFood's children's health supplements are crafted from farm-fresh, local foods using a unique process that delivers the wholesome nourishment from the food, and not just vitamins alone. DERRY, NH--(Marketwire - Oct 25, 2012) - If you are like most time-crunched parents the idea of fresh home-cooked meals are rarely a reality, which is why pediatricians recommend multivitamin supplementation for children who cannot get their vitamins through whole foods. But MegaFood relieves parents of the guilt by providing the only whole food supplements for children. 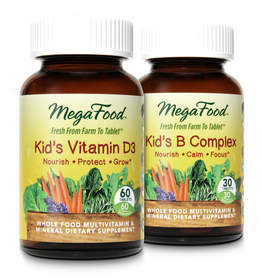 Adding to its award-winning Kid's One Daily multivitamin, MegaFood has launched Kid's B Complex and Kid's Vitamin D3. The additions of vitamins B and D3 to the collection reinforce two standout vitamins often recommended by pediatricians. MegaFood's children's health supplements are crafted from farm-fresh, local foods using a unique process that delivers the wholesome nourishment from the food, and not just vitamins alone. Unlike most children's vitamins on the market, MegaFood does not add any artificial sweeteners, colorings or flavorings to the supplements. Kid's B Complex provides a balanced ratio of B vitamins to support the health of the nervous system and includes zinc to support immune health. It also includes Bacopa and L-theanine to promote alertness, focus and mental clarity. The mini-tablets are easy to swallow and digest (30 tablets, 30 servings: $14.50 SRP). Kid's Vitamin D3 is designed to promote healthy immune function and bones. Each mini-tablet provides 600 IU of vegetarian whole food vitamin D3 (60 tablets, 60 servings: $25.00 SRP). Pediatricians often recommend multivitamin and mineral support for children who are not eating regular, well-balanced meals made from fresh, whole foods; are finicky eaters; are following a vegetarian diet; are very active or play physically demanding sports; drink carbonated sodas (which can leach vitamins and minerals from the body); or have chronic medical conditions such as asthma or digestive problems and especially if they are taking other medications. 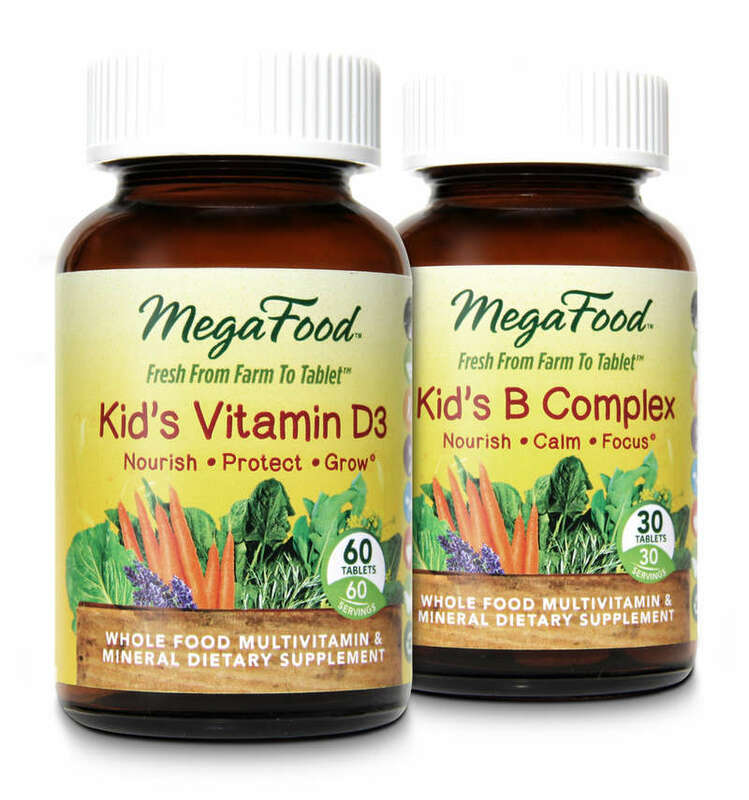 For more about MegaFood's Children's Health supplements, visit: www.megafood.com/childrens-health or call 800-848-2542.